In case you have doors in your dwelling or office that have to be repaired or replaced, King Door and Lock offers the leading door installation Charles County, Maryland services. We can easily give assistance with any residential doors or commercial doors you need replaced or repaired in Maryland. We have got nearly a decade of experience with home security and door repair. Furthermore, we only work with competent techs. Our team provides efficient and speedy services at prices which are unparalleled. King Door and Lock Maryland and DC performs exceptionally well in garage door installation and repair. 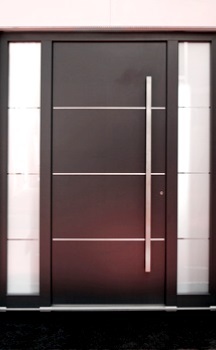 Our qualified 24/7 door solutions are designed to meet your needs exactly. This is very important in the event your garage door won’t work correctly. More often than not, an inoperable garage door is a result of a motor or sensing unit breaking. If you cannot get your automobile out of your garage, contact us for quick service. For customers who are building their perfect house, let us carry out putting in entry doors. We’re seasoned and can fix and install both interior doors and exterior doors for your brand new home. Additionally, we provide a number of different types and colors of doors. You can expect glass doors, classic French doors, standard wood doors, and many others. Our transparent pricing policy means that we inform you what the price will be prior to starting any work. This way, it is possible to budget your door replacement or repair. Our effective and speedy staff is standing by 24/7 to respond to any inquiries you may have. For clients that are buying an existing residence, repair work is a frequent request. Door jamb repair and door hinge repair are repeated requests from homeowners. This is especially true for new homeowners. Often, they’re fixing up a home that’s been treated roughly by earlier owners. It is also true for individuals who own historical residential properties. Improvements need to be made in order to meet current day requirements and King Door and Lock Maryland and DC is your reputable door installation Charles County MD service provider! 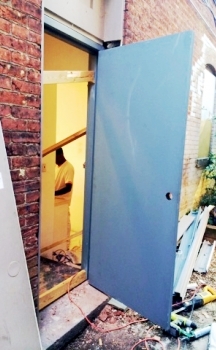 Replacing the external doors of a house is another consistent request. This is due to weather-related damage. This is especially valid in northern states where sleet, ice, and snow take their toll on houses. Our company is often employed to replace entrance doors when the elements have been hard on a customer’s home. Furthermore, we proudly provide a full selection of door hardware. We have a range of deadbolts, door handles, door knobs, door locks, and much more. We provide you with quality door services and we’re able to deal with all your door repair and replacement needs. Our industrial customers value our 24/7 expert door services for emergency needs. Companies depend on doors as a safety measure. In the event an automated door fails, security alarms will likely go off. Likewise, if somebody tries to pick a locking mechanism on your store’s front door, our techs will arrive to fix the door as soon as possible. Should automatic doors stop working, we are going to be there without delay to repair these doors so they operate like new. Furthermore we replace and repair fire-proof doors to satisfy zoning regulations and city codes. When you’ve got any door installation Charles County needs, we are able to come to your rescue. It does not matter if you need aid with industrial or household doors, get in touch with King Door and Lock . Let our speedy and courteous, expert staff help you with all your door queries. Phone King Door and Lock . Qualified Door Repair and Replacement in Charles County Maryland! Door Installation Charles County, MD Service by King Door and Lock https://kingdoorandlock.com/maryland-door-installation/charles-county/ 4.2/5 based upon 13 reviews.